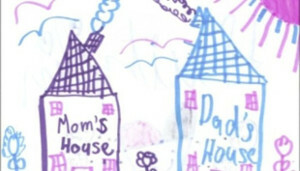 Child custody lawyers in Vancouver WA are some of the busiest lawyers in the business. You may need to consider child custody issues during a divorce. Child custody may also be at issue between unmarried parents or where changes to an existing parenting plan are necessary. Child custody lawyers may be necessary from a child’s infancy until they reach adulthood. In some contentious cases, a child custody case may last eighteen years. From an initial custody rights action to a custody modification, there is often need for the help of an experienced child custody lawyer. The process of a child custody determination or a modification can be complicated and counter-intuitive. Couple this with the fact that parents are sometimes too emotional to reasonably work together on custody issues, and sometimes child custody lawyers are necessary. An experienced divorce attorney, like those at Priest & Ellis, can help you put together a child custody plan that works for you and your children. A parenting plan is the written document that outlines the rules of each parents’ child custody rights. Often, the parenting plan outlines the parenting schedule of each parent, travel arrangements to and from each parents’ house, and how any disputes between the parents should be resolved. Child custody rights are subject to the best interest of the child, so typically a judge will only grant parenting time in accordance with what is best for the child. Courts typically seek to foster visitation with both parents while creating a stable living environment for the child so they are not being bounced around too much. Parenting plans should provide for a child’s physical care, emotional stability, and address changes that will occur as the child grows. Parenting plans that best account for changes that may occur in the future help keep parents out of court later. At Priest & Ellis PLLC, we offer an affordable flat-rate family law consultation for $200. Consulting with an experienced child custody attorney can help you better understand how the process works, how the courts often look at the issues, and ask questions about how best to proceed. It also gives you the benefit of seeing if working with Priest and Ellis would be a good fit for your case. Because child custody matters can linger for years, you want to work with someone that you can trust and foster a strong long-term relationship with.